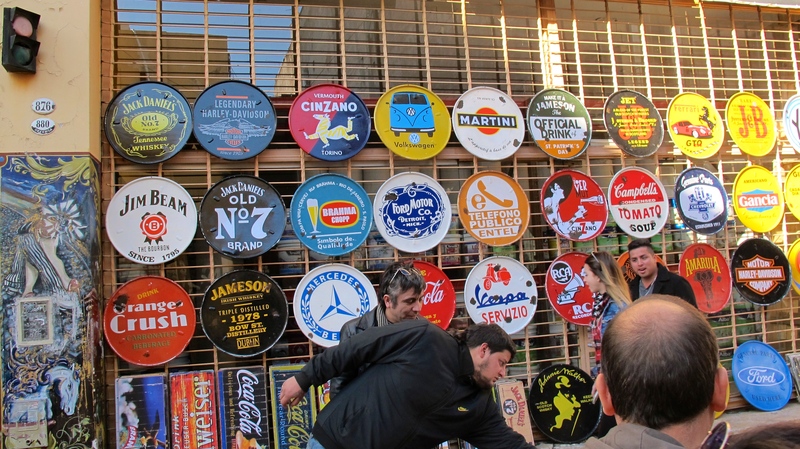 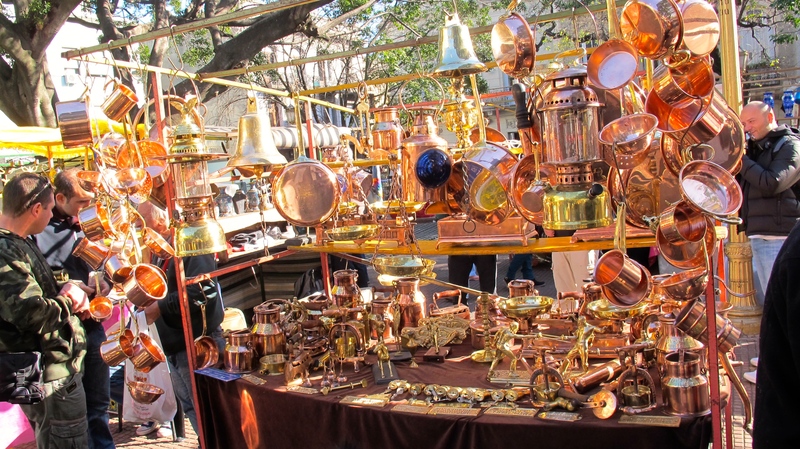 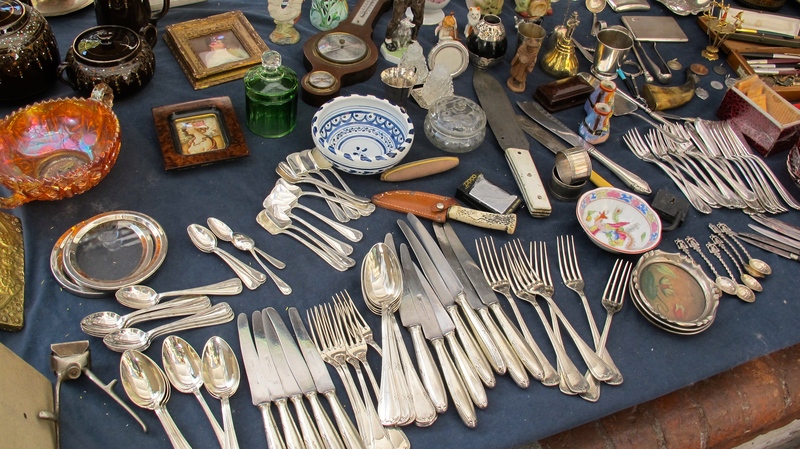 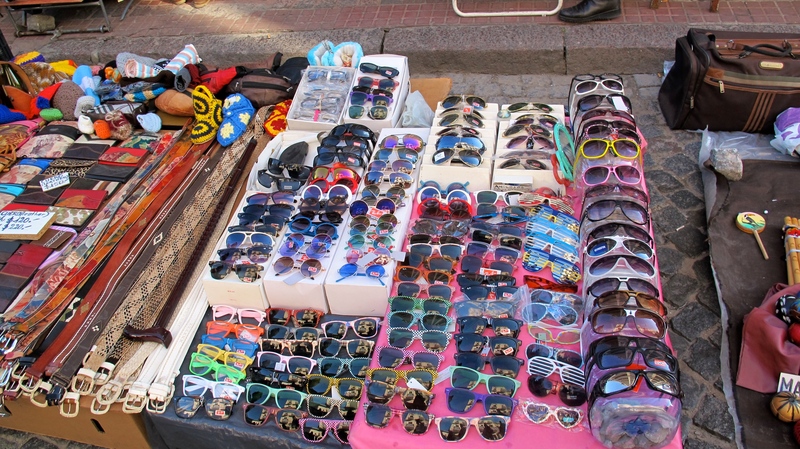 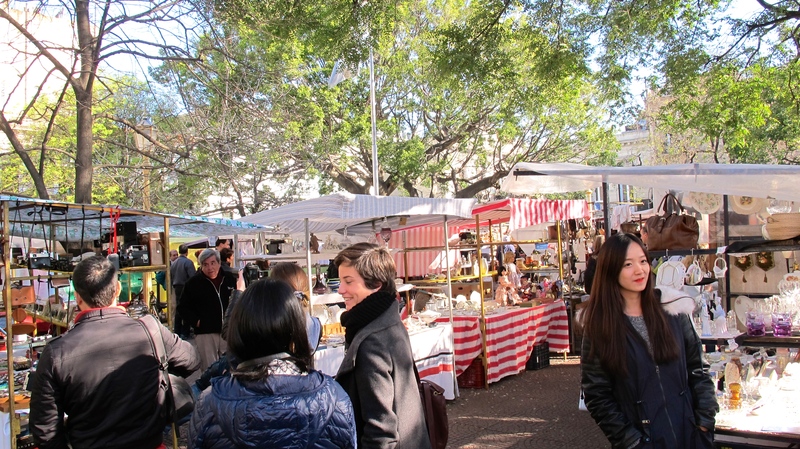 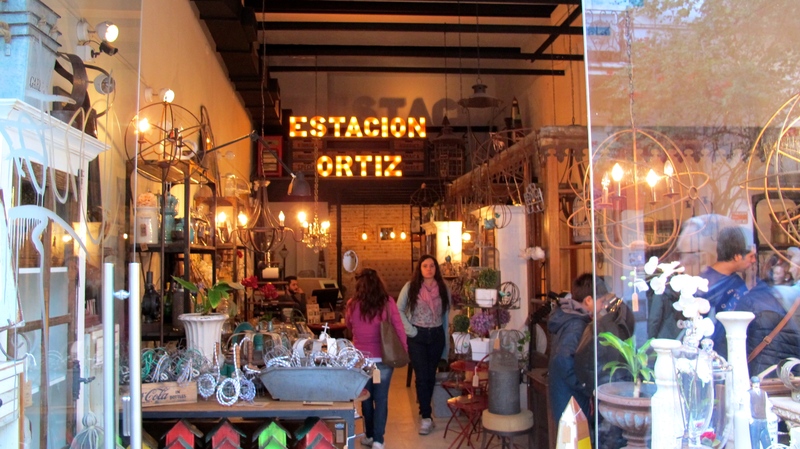 The Sunday fair in San Telmo is one of those places on every tourist’s to-do-list. 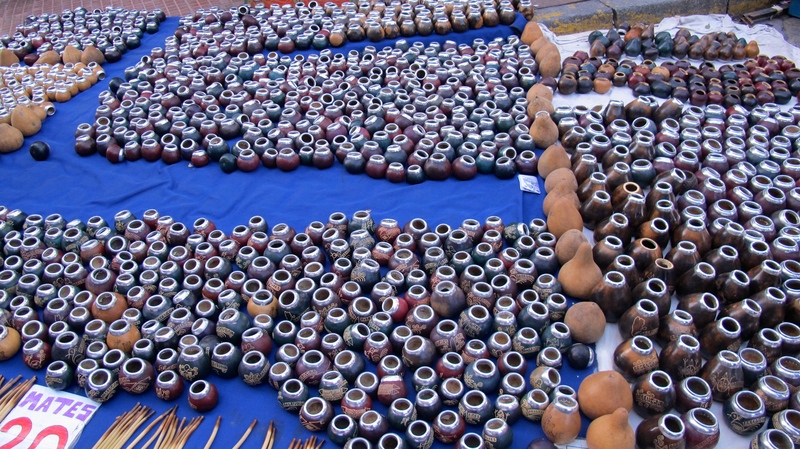 It’s practically heaven for those interested in buying mate pots, leather handbags, postcards, knives (yes, knives), jewelry, cheap Chinese-made sunglasses, and other fun stuff. 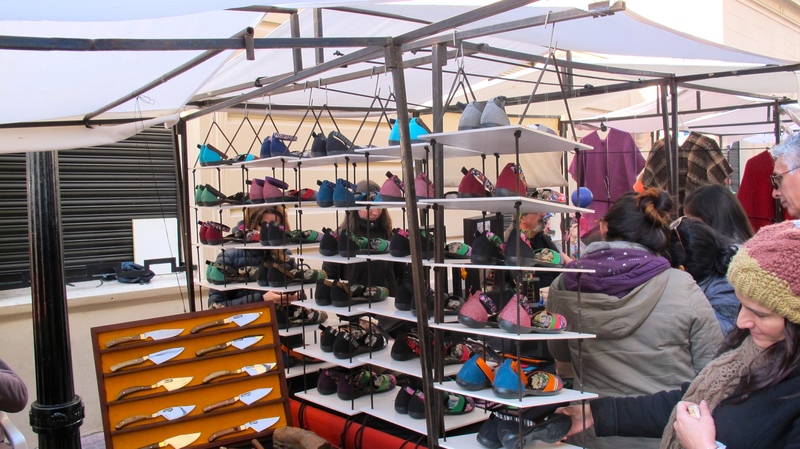 Albeit, I’m not a huge fan of shopping, but there’s something about the aggressive vendors and massive crowds that makes the fair a lot less attractive to me. 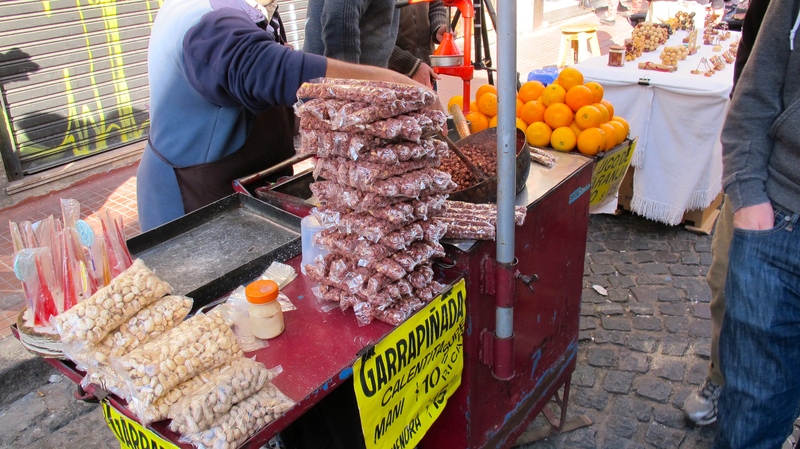 However, there’s a certain San Telmo gem (El Rey de Chori) that forces me to get on the D line and make my pilgrimage almost every Sunday. 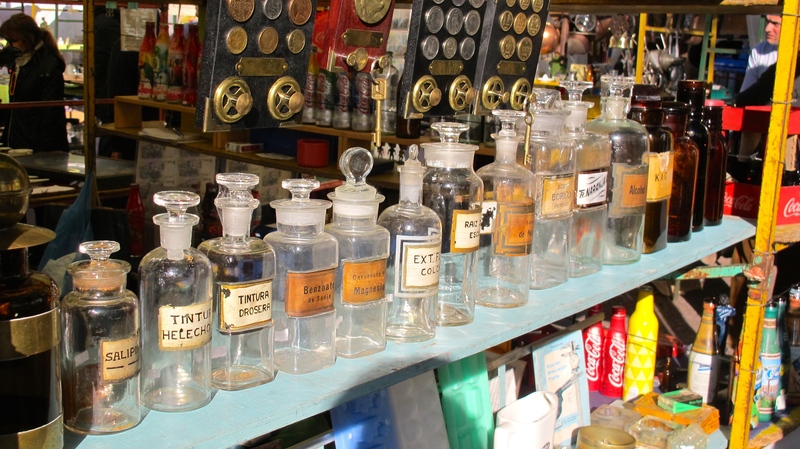 Since I was at the fair this past Sunday, I decided to take a stroll down and click some pictures for y’all. 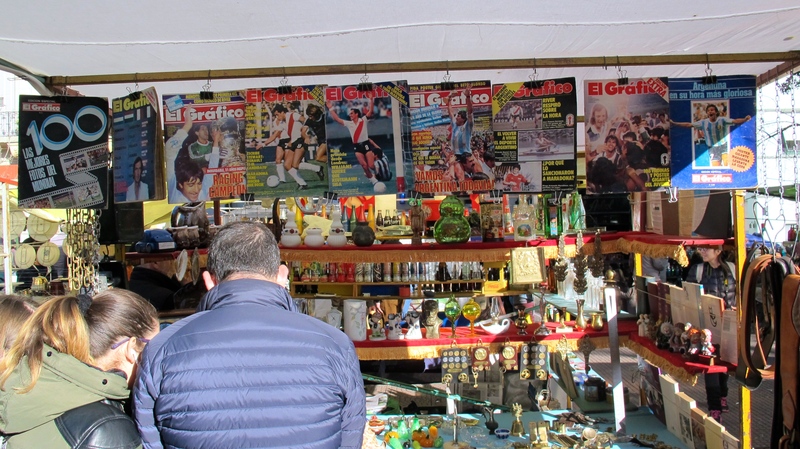 The San Telmo feria is very similar to the one in Palermo, except for the fact that it has 10x more mate pot sellers, 20x more people, and a lot more character. 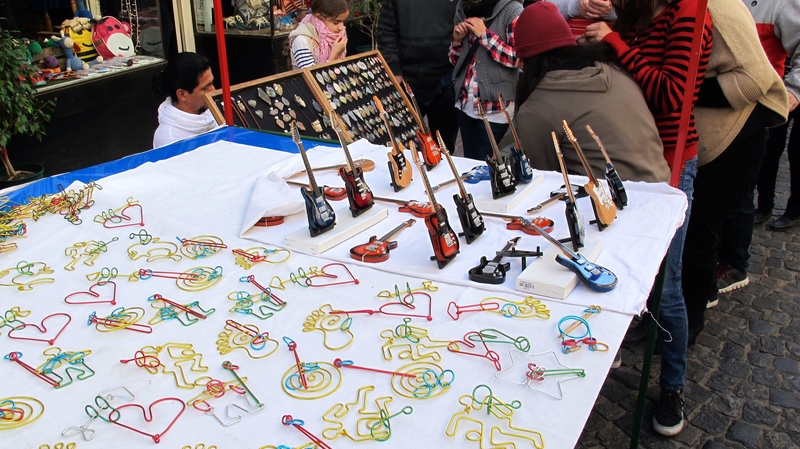 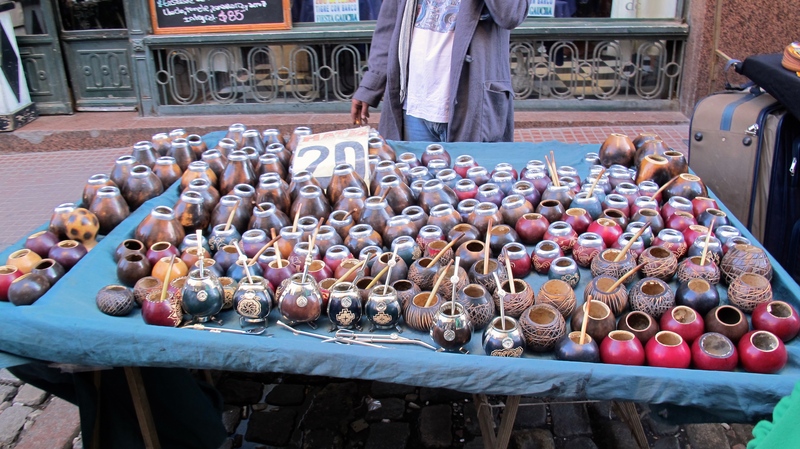 While the Palermo market is mostly Chinese made stuff, you’re more likely to find a traditional handicraft in San Telmo. 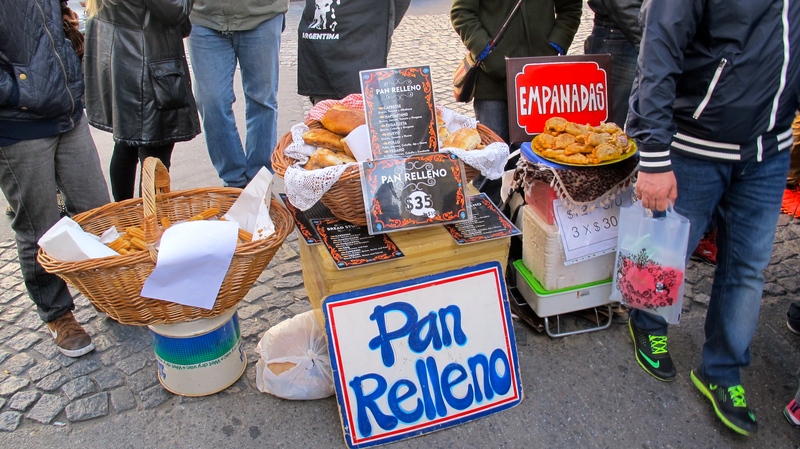 If not, you can always just eat your sorrows away by munching on an empanada, drinking freshly squeezed orange juice, or getting the BOMB choripan like I do. 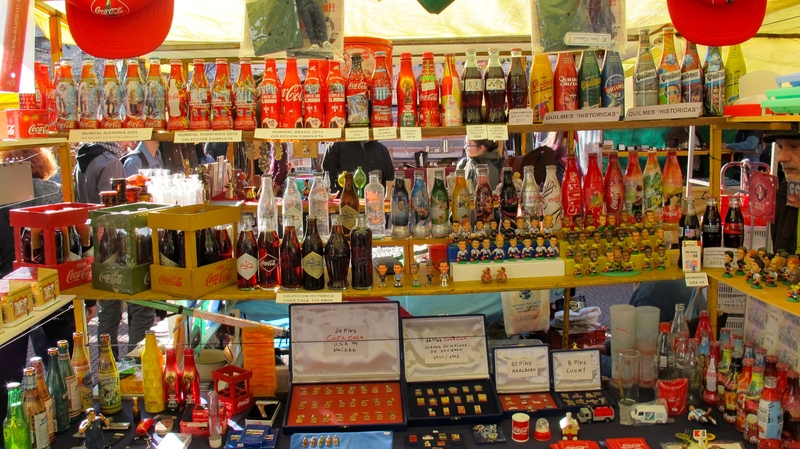 And of course, there’s stuff to buy too. 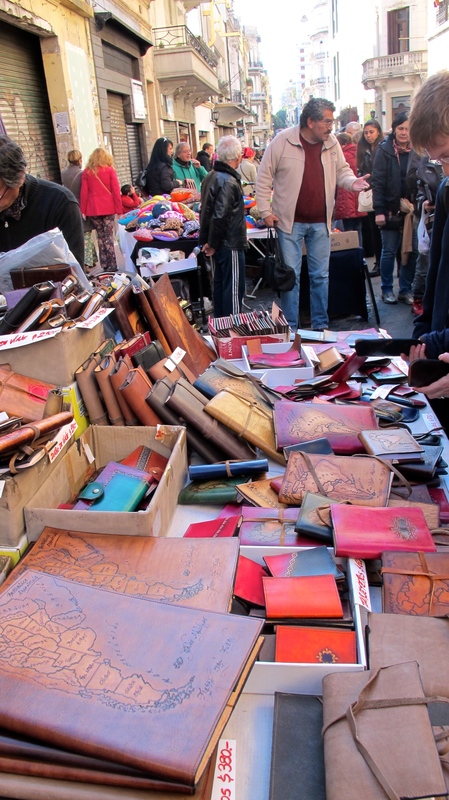 Like knives and leather shoes. 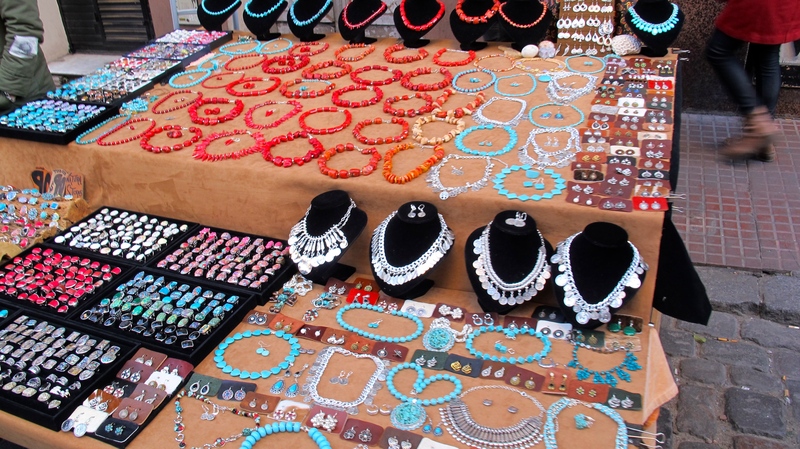 Even if you’re not a big shopper like me, you should definitely make a visit to the fair. 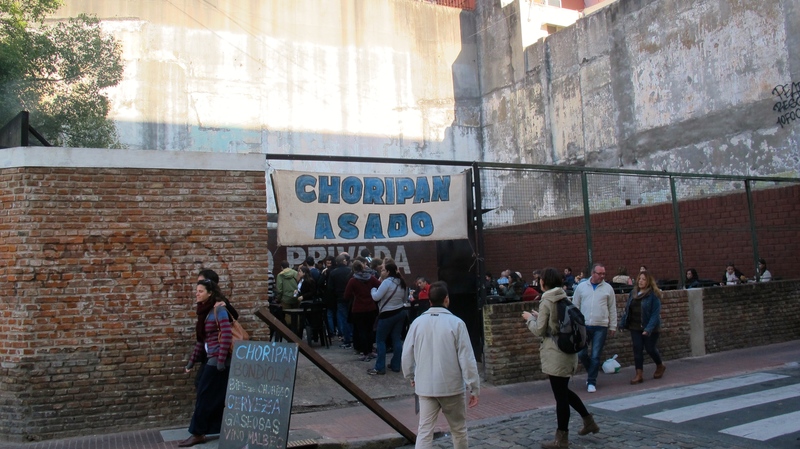 Get some choripan, check out Walrus Books for used English books, get some amazing coffee at Coffee Town, or gorge on a burger at El Banco Rojo.